ConceptDraw DIAGRAM supplied with Fishbone Diagrams solution from the Management area is the best software for fast and easy drawing professional looking Fishbone Diagram. Fishbone Diagrams Solution offers the Fishbone Diagrams library. 13 ready-to-use objects included in this library allow design the Fishbone diagram of any complexity in minutes. 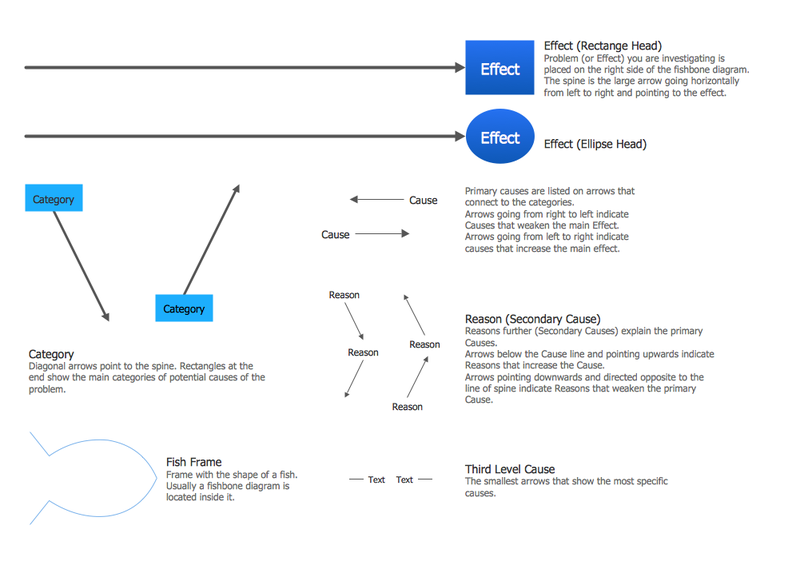 Another way of drawing a Fishbone diagram in ConceptDraw DIAGRAM is to use as the base the predesigned template or sample from the ConceptDraw STORE. The whole collection of predesigned templates and samples is offered in it. 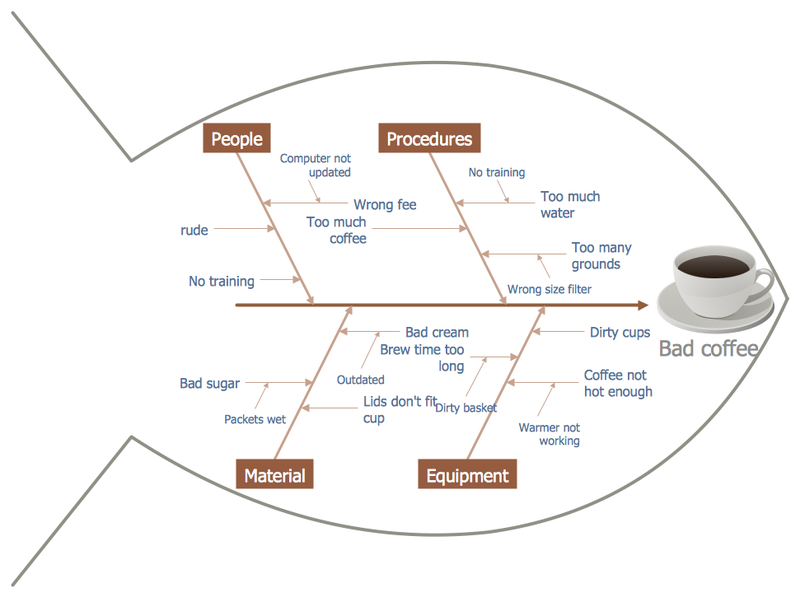 The Fishbone Diagram samples you see on this page were created in ConceptDraw DIAGRAM using the Fishbone Diagrams Solution. These samples successfully demonstrate solution's capabilities and professional results you can achieve. An experienced user spent 10 minutes creating every of these samples. 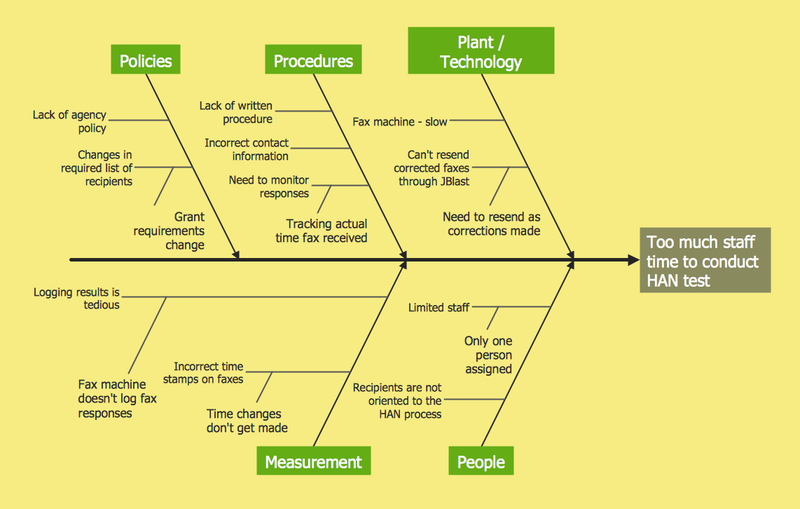 Use the Fishbone Diagrams Solution for ConceptDraw DIAGRAM software to create your own professional looking Fishbone Diagram of any complexity quick, easy and effective, and then successfully use it in your work activity.